Hanging out at the bar in this place on Columbia Street we discovered this weekend. It’s called Fultummy’s and it’s Japanese home-style food. 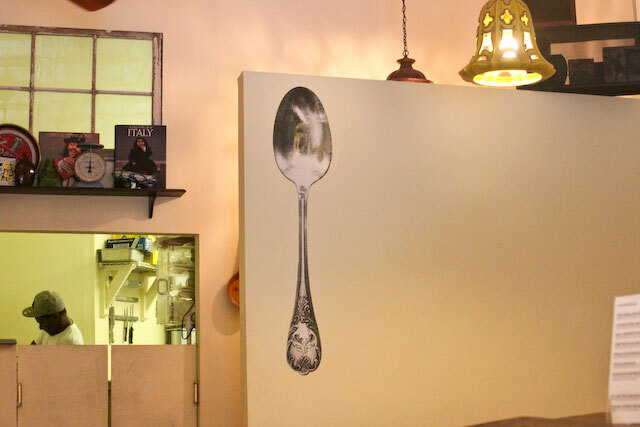 There is a big spoon on the wall and you can see the people that make your food. 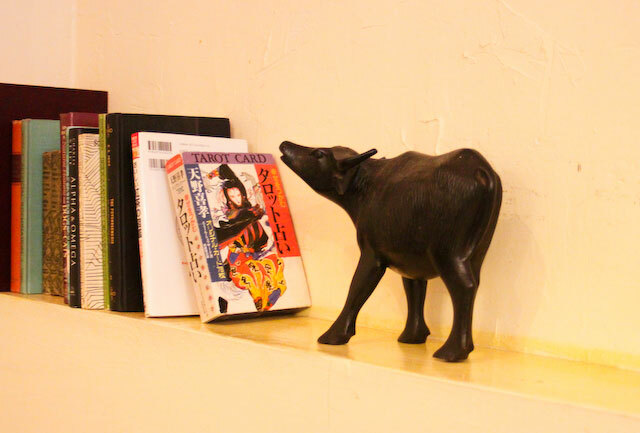 There are also things like wooden bulls and tarot card books, in case you get bored waiting for the food. 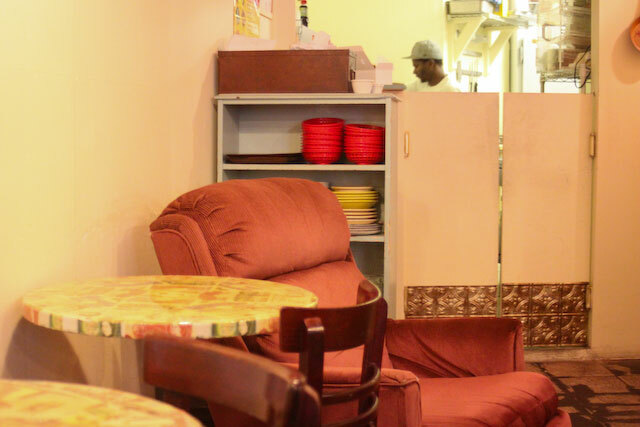 You could also await your order in a plush pink armchair. 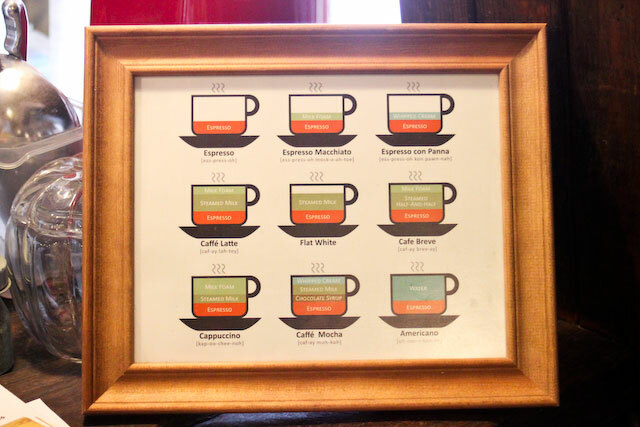 Who hasn’t wondered what the hell is in all those fancy coffees? I think this is brilliant. 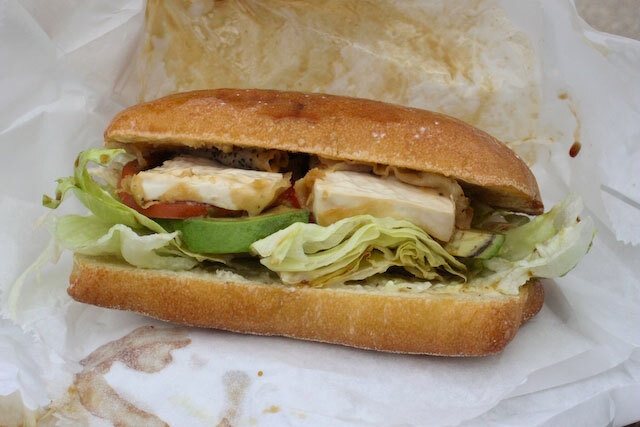 I opted for the tofu teriyaki sandwich, which was as messy as it was tasty. 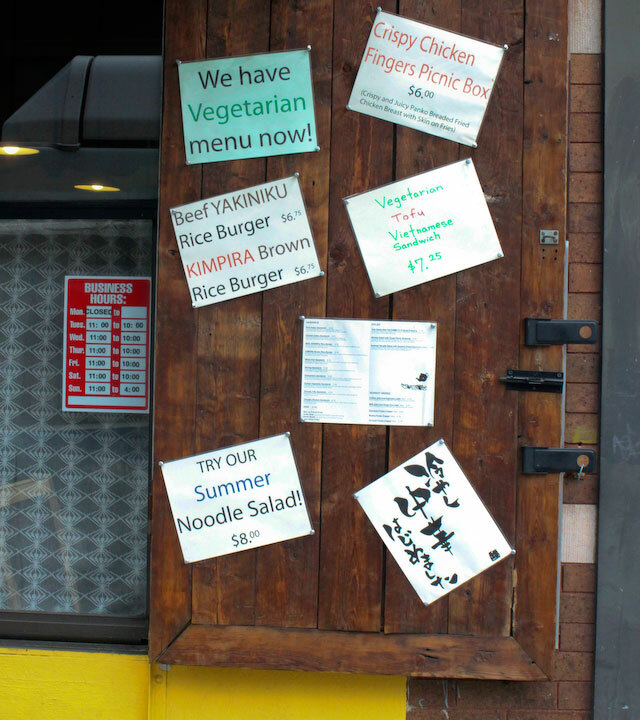 “We have vegetarian menu now!” Yes! 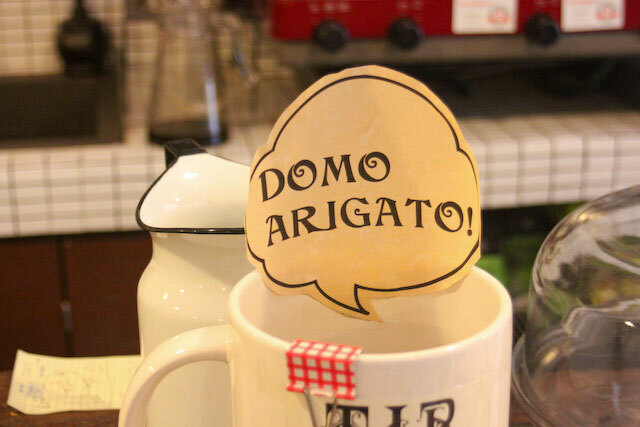 I will be back again to fill my tummy. 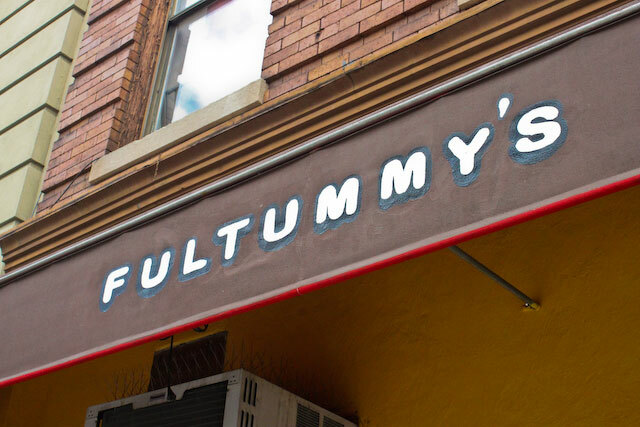 This entry was posted in Food & Wellness, Hot Tips, NYC and tagged Brooklyn, Columbia Street, food, Fultummy's, NYC, NYC tips, restaurant, vegetarian. Bookmark the permalink.